On November 20, 2013, an exhibition titled Miró in Istanbul opened at Mimar Sinan Fine Arts University’s Tophane-i Amire Culture and Arts Center, but its two-month run was cut short when the objects on view were denounced as fake and it closedon December 20. Art dealer Emre Sefer, the owner of Arete art gallery, had acquired 60 works allegedly by Joan Miró for his personal collection from a Canadian gallery. 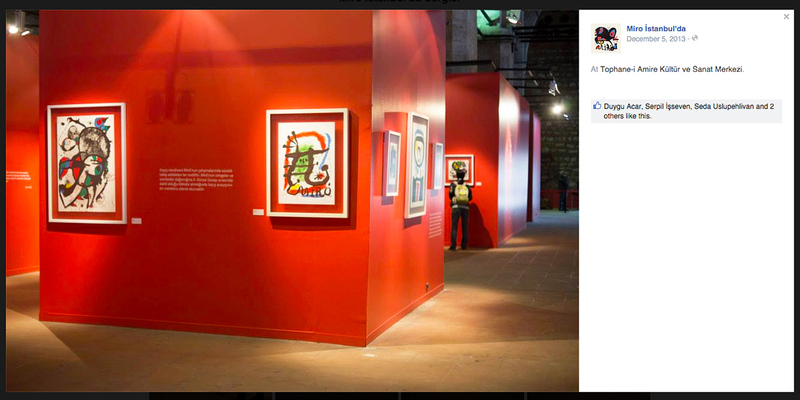 A Turkish event and exhibition management company called Kült rented all the artworks from Sefer for 95,860 TL (~$32,500) and put 56 of them on view in Miró in Istanbul. Nearly two years later, Sefer’s trial has begun in Turkey. The Joan Miró Foundation, Mimar Sinan University, and Kült all took legal action against Sefer in three separate lawsuits that included demands for compensation, accusations about the artworks’ certificates of authenticity, and claims that the works themselves were forgeries — the latter case has since been dropped, the Turkish court deciding it was beyond its jurisdiction to determine the authenticity of artworks bought in Canada. On June 14, the first day of the trial, Sefer denied the accusations and claimed that the artworks were purchased from the Canadian dealer Art Brokers West, complete with certificates of authenticity. Arete subsequently made its own certificates of authenticity for the works. “The court announced a decision of non-prosecution for the plea of forgery,” Sefer told Hyperallergic. “The lawsuit over the certificates of authenticity and the action for compensation continue. Those trials will resume in October and November. Art Brokers West claims that all the artworks are original. They also said that we could return all of them if we wanted. We do not intend to initiate a legal process against Art Brokers West until the lawsuits in Turkey conclude.” He added that Mimar Sinan University is still storing the allegedly fake Mirós. 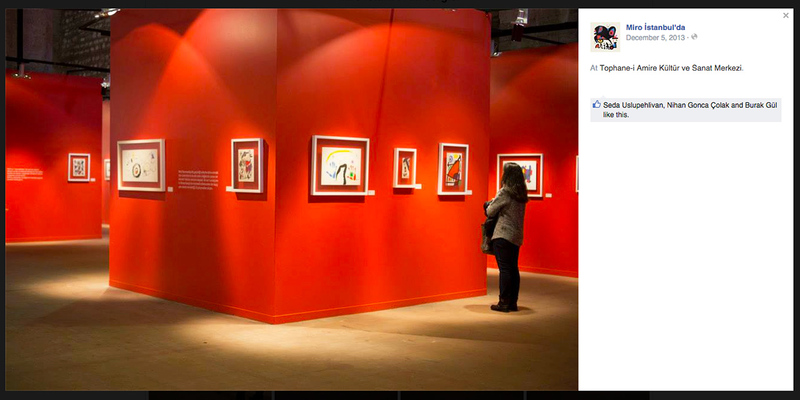 There are different stories about how the Miró Foundation caught wind of the Mimar Sinan University exhibition. “The process began with a denunciation of a visitor to the Miro Foundation,” Yalçın Karayağız, president of the Mimar Sinan University, told Al Jazeera. A different account of how the foundation discovered the suspect works revolves around another Miró exhibition in Istanbul, at the Sakip Sabanci Museum, which had initiated talks with the Miró Foundation in 2011. An exhibition designer affiliated with the Sabancı Museum told Hyperallergic that while Miró Foundation officials were in Istanbul to discuss the upcoming Sabancı Museum exhibition, they noticed billboards for Miró in Istanbul. The foundation had not known about the exhibition until its members saw the ads, and neither Kült nor Arete had paid the requisite copyright fee to the Miró Foundation to use the artist’s name in the exhibition. 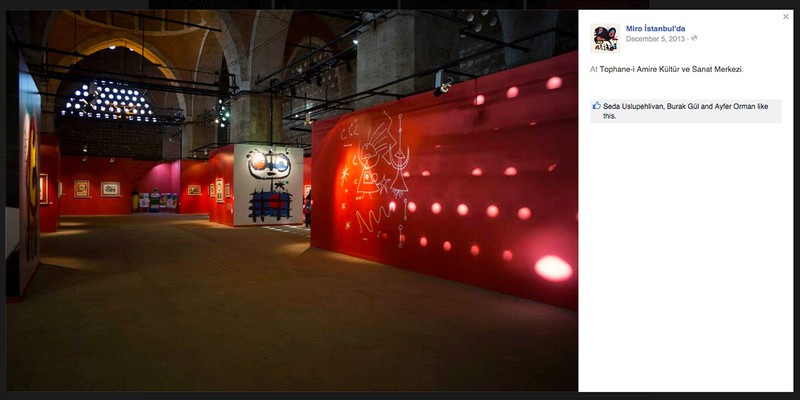 Regardless of how the Miró Foundation found out about the exhibition, foundation director Rosa Maria Malet immediately sent an email to the president of Mimar Sinan University expressing her concerns about the authenticity of the artworks. She was invited to Istanbul to analyze the works, after which the foundation issued a statement saying that they were all fake. On December 20, the university’s president shut down the exhibition. After the show closed, the vice president of the university and the director of Tophane-i Amire Cultural Center, Caner Karavit, who signed the exhibition contract with Kült, resigned. Though the Miró in Istanbul case is unusual, it is not unique. In March 2013, the organizers of the exhibition Haring Miamireceived a court order from the Keith Haring Foundation saying that the works in the show had not been properly authenticated. Eventually 165 artworks were removed from the exhibition, which reopened with only 10 pieces on display. In October 2013, 123 licensed replicas of Frida Kahlo’s paintings that had been commissioned from four unnamed Chinese artists were featured in The Complete Frida Kahlo: Her Paintings. Her Life. Her Story. The Exhibition in San Diego. The show was criticized for not prominently acknowledging that the artworks were replicas — there was only one explanation of the works’ origins, on an 8.5-by-11-inch sheet of paper taped to the ticket counter.